Other Worlds anthology - on sale now. 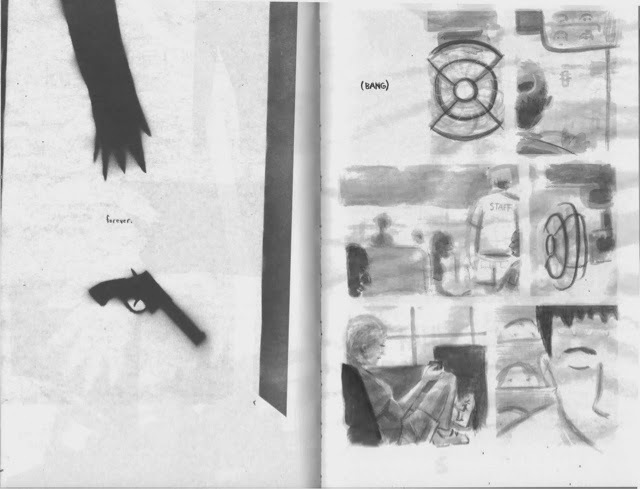 The Other Worlds anthology has been out for a couple months now. 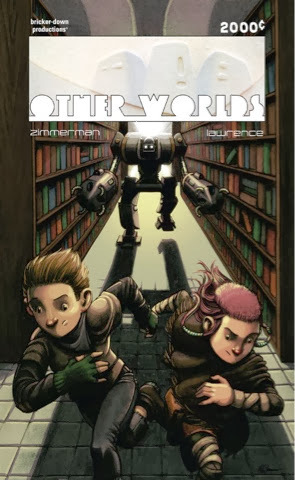 Other Worlds is a collection of unrelated short fictions written by Justin Zimmerman (with one exception) and drawn by a rotating cast of collaborators, including myself. 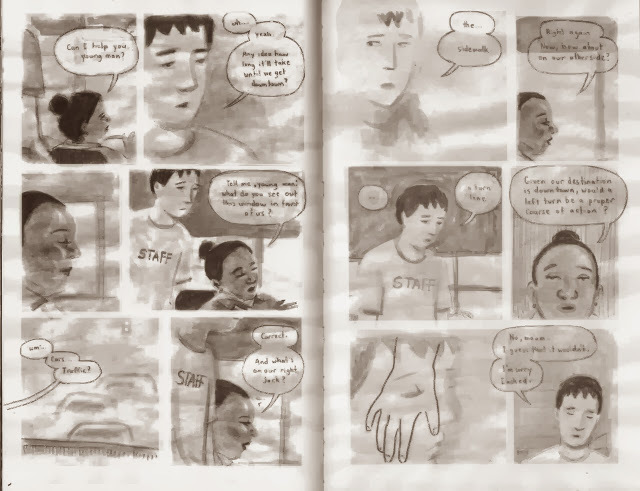 I have two stories in the book, the longest of the bunch: a fifty page mixed media comics adaptation of Justin’s story, The Mix - and the shortest: a three page extrapolation called Digital Breath, which is completely my fault (the “one exception” mentioned before). 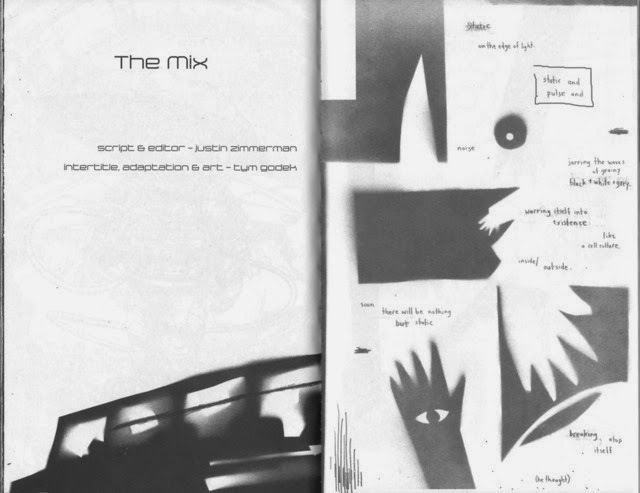 The Mix is a kind of castration fantasy and features some NSFW imagery. It’s been called “amateurish” and “nonsensical,” though I disagree with one or both of those assessments. It’s somewhat different than most of my other comics work. 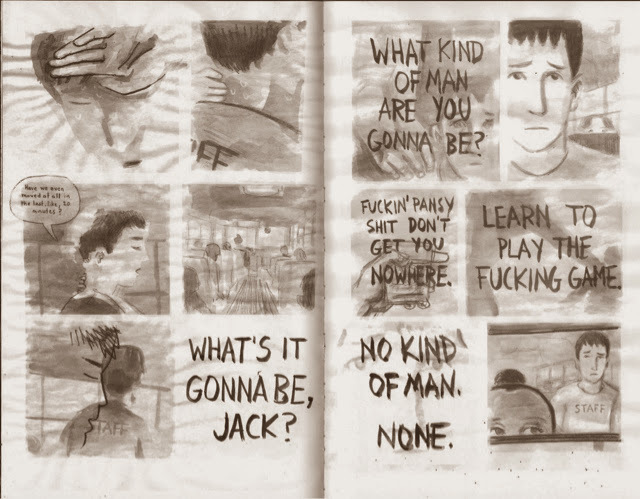 The first ten or so pages (20% of the story!) are seen here. 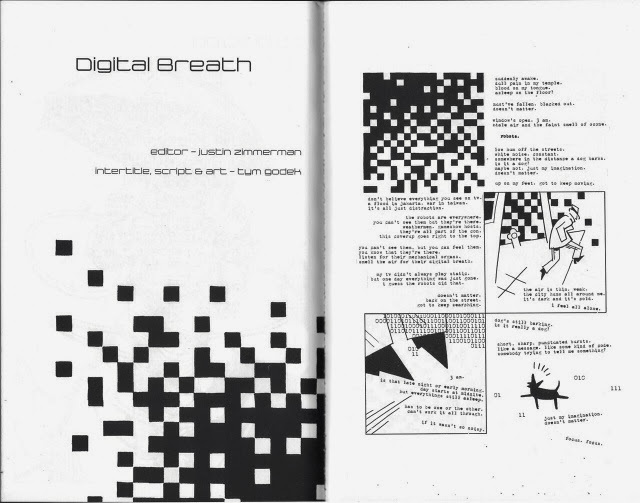 Digital Breath is a short extrapolation on (perceived) binary systems in which I managed to accomplish everything I attempted without actually making a whole lot of sense. In that it’s a lot closer to the diary strips that I usually post here. It reproduces handsomely in the book. Other highlights (for me) include The Creature’s Name (by Justin and Tony Morgan), which has a nice little anti-climax/climax one-two punch, and Knowing (by Justin and Matt Grigsby) a nicely ambiguous short that has likewise been called incomprehensible (again, I disagree). 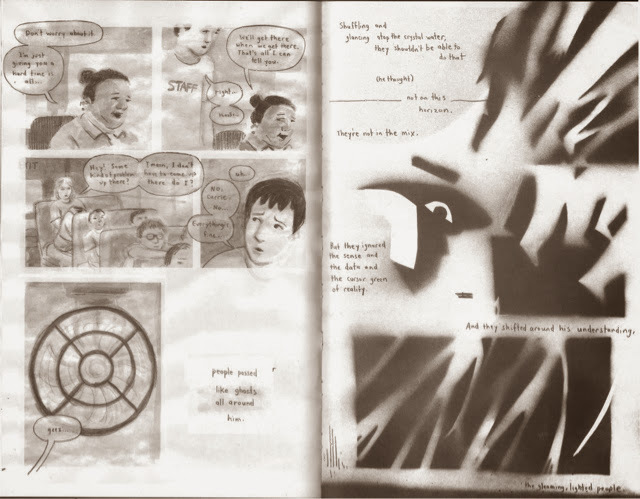 The collection is eleven stories at 188 pages and costs 2000 cents, or $20. You can buy Other Worlds at Justin’s Etsy - he’ll personalize every copy - or hit me up for one too.